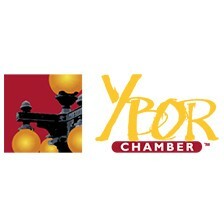 The Ybor City Chamber of Commerce hosts a monthly business seminars with various speakers. The seminars will be focused on bettering your business! The first 45 minutes of the class will be a focused discussion, and the last 15 minutes (optional attendance) will discuss how these practices can be used with your Chamber Membership. These events will happen the last Tuesday of the month and will vary from marketing to safety and beyond.